Today I got to speak with Ms. Jennifer Miller, founder of Confident Parents Confident Kids. She teaches mindfulness to kids and parents, and helps them navigate this world so they can be their best selves. Please tell us a little about yourself, what drew you to mindful education, and the Confident Parents Confident Kids mission. I’ve been committed to mindfulness education for my entire career – nearly 25 years. But I didn’t call it mindfulness at first. I was a full-time volunteer right out of college as an AmeriCorps*VISTA member wanting to learn about my heritage – Navajo Indian – while serving a community. My assignment was drop-out prevention with a boarding home serving K-12 children from multiple Indian tribes. I noticed that in order to promote their academic success, I was spending all of my time on creating caring relationships in their lives, on deepening their awareness and understanding of their own culture – all issues related to their social and emotional development. I became convinced that that was the way I wanted to contribute to children’s lives, by doing whatever I could to support their social and emotional development. Fast forward twenty years to when I became a parent. I thought, “I’m gonna ace this test!” But parenting is a worthy challenge like no other. It was my son who became the most important person in my life. I wanted to learn to use all of the best of what’s known about child development with him. So I decided that all the research-based strategies I was teaching teachers to use in the classroom could also be put to good use at home. I started Confident Parents, Confident Kids to write about simple ways to actively promote children’s social and emotional development in family life. I also started meditating as a regular commitment as a result of the busy nature of being a parent and it’s become an essential daily routine. During this time, I realized that mindfulness and social and emotional learning are intwined – at times, the same – and certainly, key to one another’s success. Kids and adults alike need to become aware of their feelings and the vital messages their emotions are sending them. They need to be able to calm down when upset in any setting by engaging their breath. And they need to be able to focus on the now in order to be present and not only, self-aware but also socially aware – to understand and empathize with others. All of these point to the interconnectedness of mindfulness and social and emotional learning in education and in parenting. I love your illustrations on the website, do you draw them? I drew the original Wuf Shanti illustrations for the first book. Where can people see your illustrations? What inspires you to draw them? I do draw the illustrations on my site and they are pure joy to work on! I’ve done artwork since I was very little. It’s always been a dream of mine to somehow incorporate art into what I do. How fortunate I feel to get to draw in my work! Once a Mom of a four-year-old told me that she read my blog posts with her daughter on her lap and she could explain the concepts to her through the drawing. That was the best feedback I could get! I place a heart on every person – animals too! – that I draw because I think it shows that we all have hearts. We all have feelings that are a part of us at all times. We cannot nor should we ever ignore our own or others’ hearts. And in fact, we will make better choices about how to treat one another if we remember that fact. Art can show feelings in ways that no words can. I love the Wuf Shanti illustrations! I love that you illustrate! How can we get all the companies with similar missions to understand that we will make more positive change in this world for the next generation if we work together? What ideas do you have to scale up to get these programs in all schools in the country? I think our children and teens are beginning to lead the way. You are such a perfect example of this. 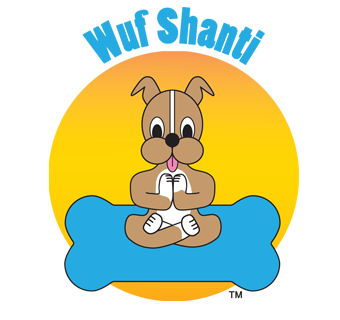 The games, videos, your book, and the many ways Wuf Shanti teaches kids’ mindfulness has greater power because they were conceived by you for your peers. I assume the large organizations’ missions you are referring to all are focused on our next generation. We need to keep a mindful focus on our children – their present social and emotional needs and concerns. Students are raising their voices more and more, as in the Parkland tragedy. We need to encourage and support those voices and also, push to action. How can each child, each family contribute to a safe, caring learning community? What can you do? We all have an important role to play. I think parents are key as well. We are a highly motivated, highly passionate group. We love our children and we’d go to extreme lengths to help them. So what if we took all that love and energy – and also, the fears and frustrations of school shootings and feeling helpless – and we gave parents ideas of how they, as an individual Mom or Dad, could make a real difference in their school community? We can all show our care with students in schools and even the smallest shows of care matters. That’s the vision of my work. And I am always eager to collaborate with anyone who shares that vision and is ready to get to work on it. If you had to pick one mental exercise for parents and kids in early learning, middle school, and high school to learn, what would it be and why? In early learning, I would practice deep breathing through the many games or pretend play opportunities available. One I particularly like with that age group is giving your favorite teddy bear a ride on your belly with your breath. Young children need to make the mind-body connection that their breath is a powerful self-regulating tool that they carry with them wherever they go. They can always have the comfort of deep breathing if they’ve practiced and engage in it. For high school, teens are taking greater cues from their peers and needing to take higher risks. So the most important mental exercise for high school age youth is “If…Then…” stories, thinking through cause and effect. If I choose to go zip-lining in another state without telling my parents, what might happen as a result? Book discussions, tv shows, vlogs and local news are all ripe material for talking together about “If…then…” scenarios. And if they turned out poorly, what other options did that person have? What might have happened differently? What advice do you have for teachers, administrators, healthcare practitioners, athletes and especially parents as it relates to mindful and social emotional learning? LEARN! Constantly. There is a wealth of information available. We have such a supportive research base of what’s worked in schools, in homes and in hospitals to enrich our lives. But there’s so much, it’s difficult to consume. 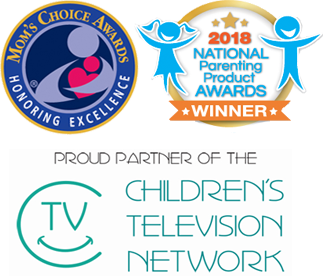 So subscribe, read, participate in webinars, watch the WufShanti videos :), sign up for Confident Parents, Confident Kids, http://confidentparentsconfidentkids.org (with tons of free tools, ideas and resources) and keep learning! Thank you Ms. Jennifer Miller for speaking with me. Everyone check out her site (link above) and sign up for one of her OMazing webinars. She’s a great mindfulness coach, so if you are thinking about learning about mindfulness, call or write her now. The future of the next generation may depend on it.